Who kills the Pacific Ocean? Hang Fed interest rate bankers who own the military industrial complex. The Pacific Ocean is dying: Federal Reserve directors whose corporations and military tactics kill the Ocean should be marched to the gallows. Is it nuclear? duh? – or – ...is it military use of space age weapons: ionospheric & stratospheric heater weapons that creates global warming, duh? – or – ...pollution? duh? – or – ...Fed interest bankers that own & direct the military industrial complex killing war-machine against love & life? duh? – or – ...Fed interest bankers that own controlling shares in their 20% ownership of the entire stock market, including all the companies that create pollution & death? duh? – or – ...all of the above? duh? ...Ya'think? Renaissance Permastead and Apiary – People, WE are in a war if you aint put the big picture together..... time to eat the bankers, royalty, jesuits, khazarians, and Draconians.... hows that for replacing GMOs....? Lindy-lin – I never go to a BP gas station ever since that spill. They all should be in prison for what they did against sea life & the fowls of the air. Laurie Barry – This is painful as hell! My heart breaks for the innocent sea life- what have they done to ever deserve this suffering???? 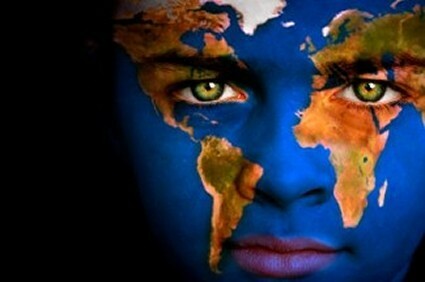 These elite, global, terrorists are destroying absolutely everything that God has created! Most people haven’t a clue, and frankly I am really beginning to think they don’t care UNLESS it directly affects them- and they become a huge part of the problem. I know I have had zero success in sparking any interest in anything, even the obviously fake clouds that are directly over their own heads. Thank you for your service, it is greatly appreciated. Klem Kaddlehopper – I knew they were poisoning the Gulf with the GMO’s. I believe they intentionally blew up the oil rig under obama. Reiki Lynx – All this for paper and coin. Makes me weep. The Pacific Ocean is Dying ...can you Identify the Killers? The Pacific Ocean is dying because millions and billions of sea life like whales, dolphins, seals, sea lions, sea otters ... all mammals as we are, and all sea life in the Pacific Ocean floating suspended in the ocean dead or dying excruciating deaths and washing up on shores dead or dying excruciating deaths and crabs, lobsters, octopus, squid and other sea life pressed into the beach sand dead from Alaska to Mexico? ...or, starving because their food chain is now extinct? The Pacific Ocean is dying because of nuclear industry seaborne plutonium fallout and waste, and hundreds of other radionuclides melted down into the water acquifirs at Fukushima feeding into the Pacific Ocean since 2011, and because the U.S. encouraged Japan to dump all their liquid and solid nuclear waste into the ocean every day, and burn it up into the atmosphere where it rains down on the Pacfic Ocean, the United States and circulates around the world every 40-hours-to-two-weeks and falls. Nuclear apologists blame these extinction levels on global warming creating new and mysterious diseases ... when research from Chernobyl proves radiation mutates viruses and bacteria to form new and mysterious diseases! 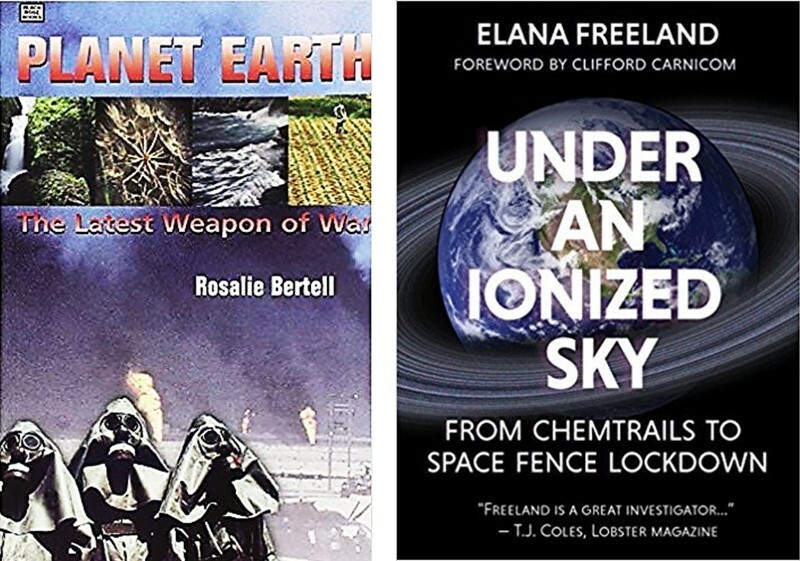 Consequences of the Catastrophe for People and Nature —(here)— – (free PDF) NOTE: Read the abstracts of each chapter that interests you ...abstracts summarize chapters ... otherwise, it is very technical and tough going. The Four Horsemen of Banking (Bank of America, JP Morgan Chase, Citigroup and Wells Fargo) own the Four Horsemen of Oil (Exxon-Mobil, Royal Dutch/Shell, BP & Chevron-Texaco) ...in tandem with Deutsche Bank, BNP, Barclays & other European old money behemoths. But their monopoly over the global economy does not end at the edge of the oil patch. Israel Moses Seifs of Rome. ...as individuals who own large shares of the Fed. 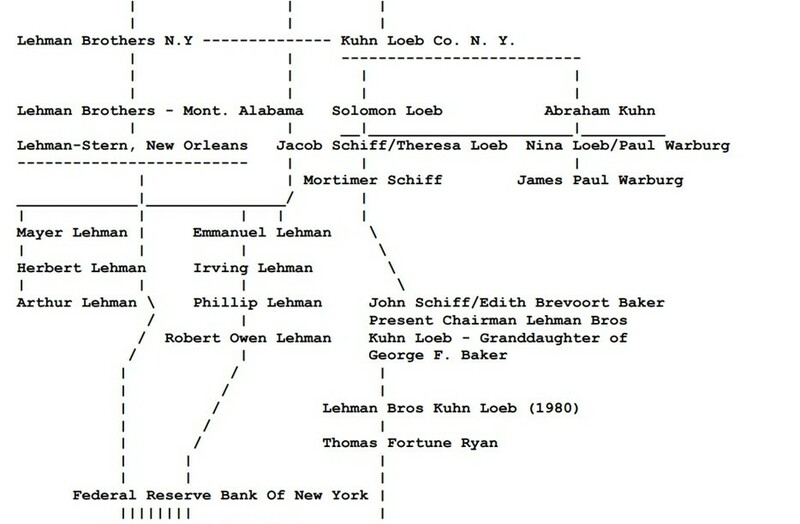 The Schiffs are insiders at Kuhn Loeb. 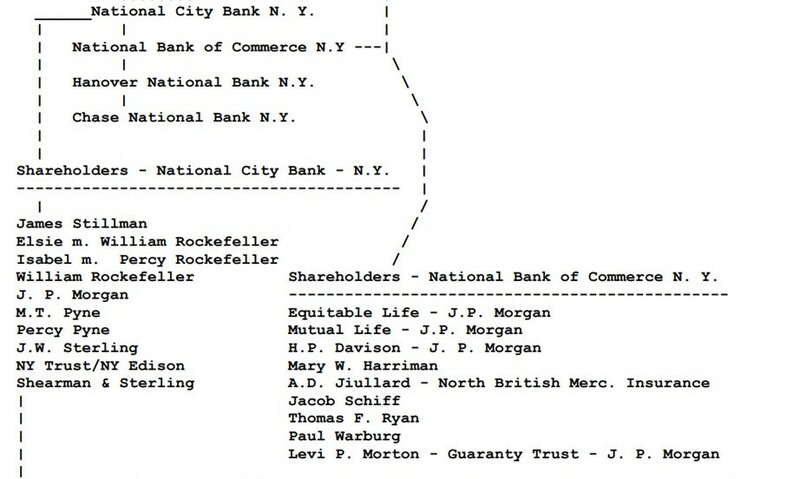 The Stillmans are Citigroup insiders, who married into the Rockefeller clan at the turn of the century. The control that these banking families exert over the global economy cannot be overstated and is quite intentionally shrouded in secrecy. Their corporate media arm is quick to discredit any information exposing this private central banking cartel as “conspiracy theory”. Yet, the facts remain. The Federal Reserve Bank was born in 1913, the same year U.S. banking scion J. Pierpont Morgan died and the Rockefeller Foundation was formed. The House of Morgan presided over American finance from the corner of Wall Street & Broad, acting as quasi-U.S. central bank since 1838, when George Peabody founded it in London. Morgan was the driving force behind Western expansion in the U.S., financing and controlling West-bound railroads through voting trusts. In 1879 Cornelius Vanderbilt’s Morgan-financed New York Central Railroad gave preferential shipping rates to John D. Rockefeller’s budding Standard Oil monopoly, cementing the Rockefeller/Morgan relationship. 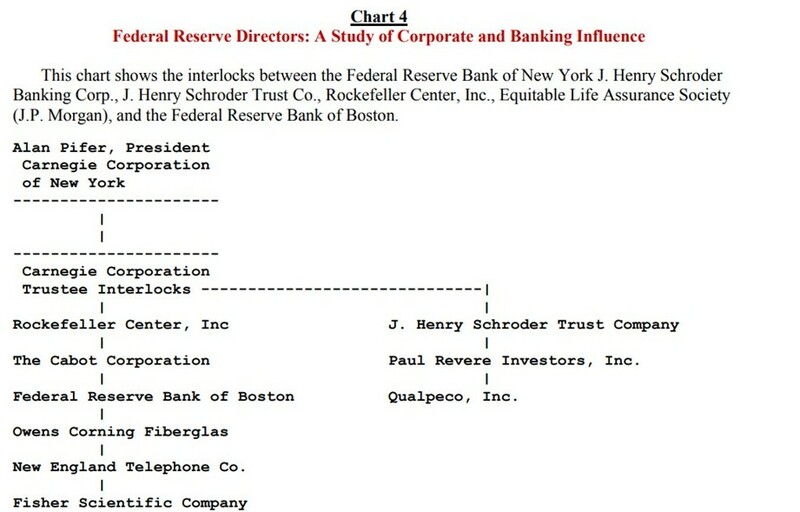 In 1903 Banker’s Trust was set up by the Eight Families. Benjamin Strong of Banker’s Trust was the first Governor of the New York Federal Reserve Bank. The 1913 creation of the Fed fused the power of the Eight Families to the military and diplomatic might of the U.S. government. The 1913 creation of the Fed fused the power of the Eight Families to the military and diplomatic might of the U.S. government. If their overseas loans went unpaid, the oligarchs could now deploy U.S. Marines to collect the debts. The House of Morgan was cozy with the British House of Windsor and the Italian House of Savoy. 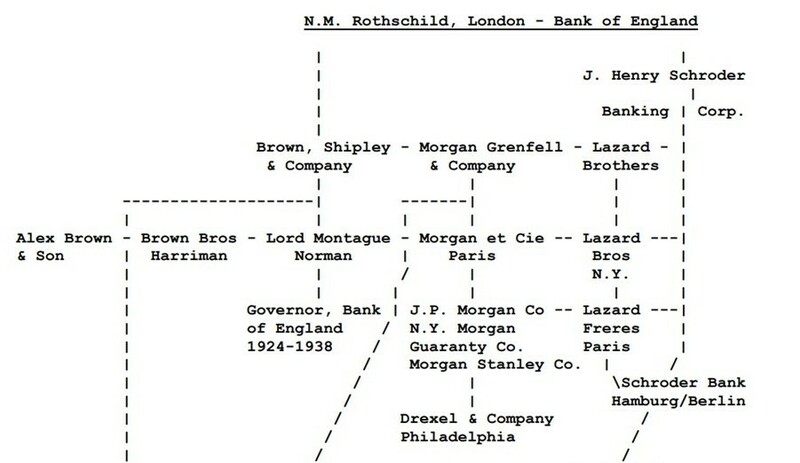 The Kuhn Loebs, Warburgs, Lehmans, Lazards, Israel Moses Seifs and Goldman Sachs also had close ties to European royalty. 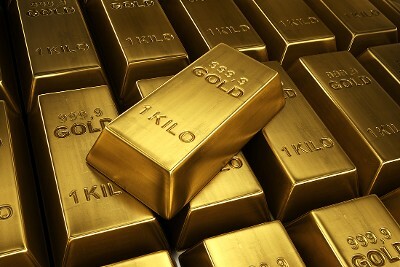 By 1895 Morgan controlled the flow of gold in and out of the United States. The first American wave of mergers was in its infancy and was being promoted by the bankers. In 1897 there were sixty-nine industrial mergers. By 1899 there were twelve-hundred. Public distrust of the combine spread. Many considered them traitors working for European old money. Public distrust of the combine spread. Many considered them traitors working for European old money. 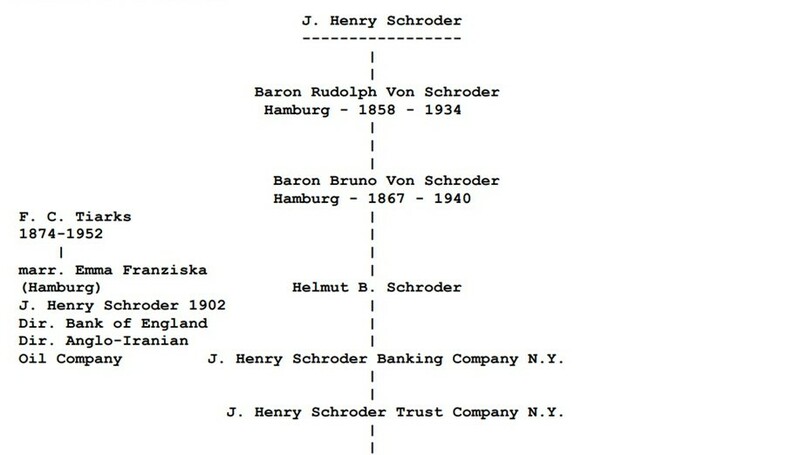 Rockefeller’s, Standard Oil ... Andrew Carnegie’s, U.S. Steel ...and Edward Harriman’s railroads were all financed by banker Jacob Schiff at Kuhn Loeb, who worked closely with the European Rothschilds. Several Western States banned the bankers. Populist preacher William Jennings Bryan was thrice the Democratic nominee for President from 1896 -1908. The central theme of his anti-imperialist campaign was that America was falling into a trap of “financial servitude to British capital”. Jack Morgan – J. Pierpont’s son and successor – responded by calling on Morgan clients, Remington, and Winchester, to increase arms production. He argued that the U.S. needed to enter WWI. The House of Morgan financed half the U.S. war effort, while receiving commissions for lining up contractors like GE, Du Pont, U.S. Steel, Kennecott and ASARCO. All were Morgan clients. House Banking Committee Chairman Louis McFadden (D-NY) said of the Great Depression, “It was no accident. It was a carefully contrived occurrence…The international bankers sought to bring about a condition of despair here so they might emerge as rulers of us all”. Nye concluded that the House of Morgan had plunged the U.S. into WWI to protect loans and create a booming arms industry. Nye later produced a document titled, The Next War, which cynically referred to, “the old goddess of democracy trick”, through which Japan could be used to lure the U.S. into WWII. Jack Morgan responded by nudging the U.S. towards WWII. 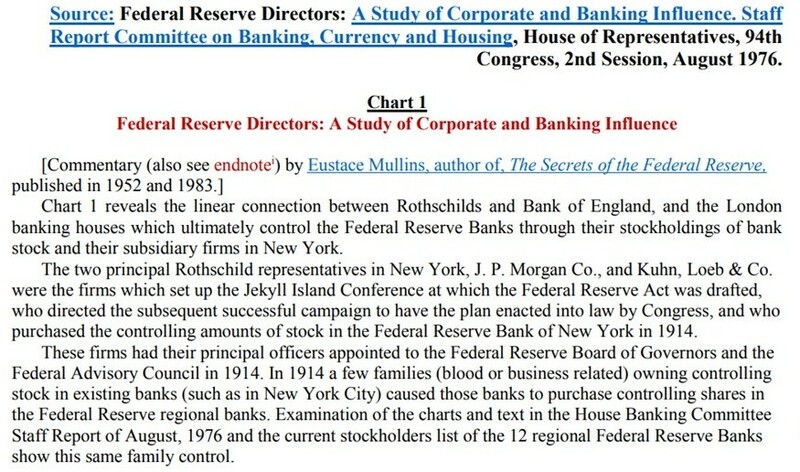 The first President of BIS was Rockefeller banker Gates McGarrah – an official at Chase Manhattan and the Federal Reserve. McGarrah was the grandfather of former CIA director Richard Helms. BIS promotes an agenda of monopoly capitalist fascism. It gave a bridge loan to Hungary in the 1990’s to ensure privatization of that country’s economy. Bretton Woods was a boon to the Eight Families. 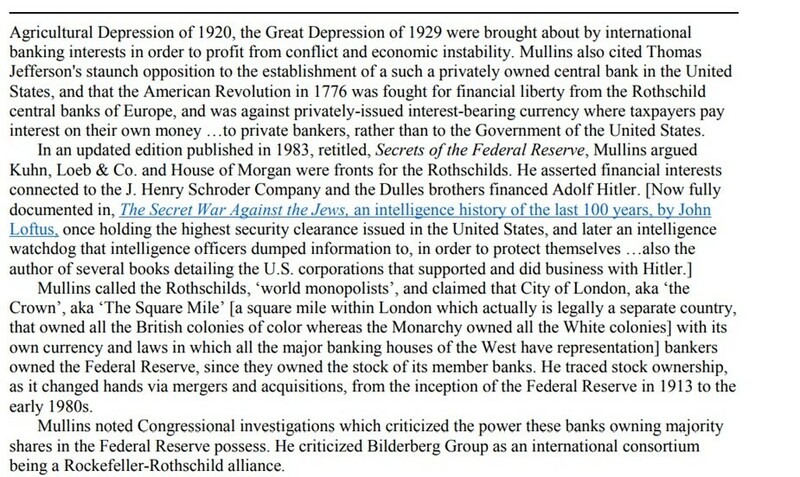 The IMF and World Bank were central to this “new world order”. In 1944 the first World Bank bonds were floated by Morgan Stanley and First Boston. The French Lazard family became more involved in House of Morgan interests. 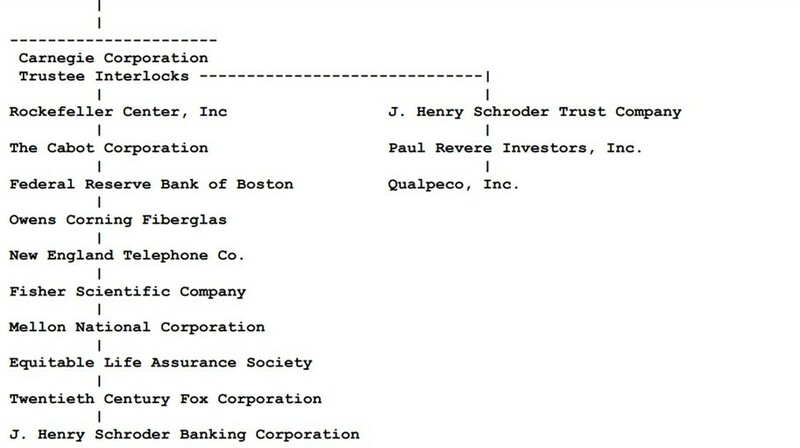 Lazard Freres – France’s biggest investment bank – is owned by the Lazard and David-Weill families ...old Genoese banking scions represented by Michelle Davive. A recent Chairman and CEO of Citigroup was Sanford Weill. In 1968 Morgan Guaranty launched Euro-Clear, a Brussels-based bank clearing system for Eurodollar securities. It was the first such automated endeavor. Some took to calling Euro-Clear, 'The Beast'. Brussels serves as headquarters for the new European Central Bank and for NATO. In 1973 Morgan officials met secretly in Bermuda to illegally resurrect the old House of Morgan, twenty years before Glass Steagal Act was repealed. 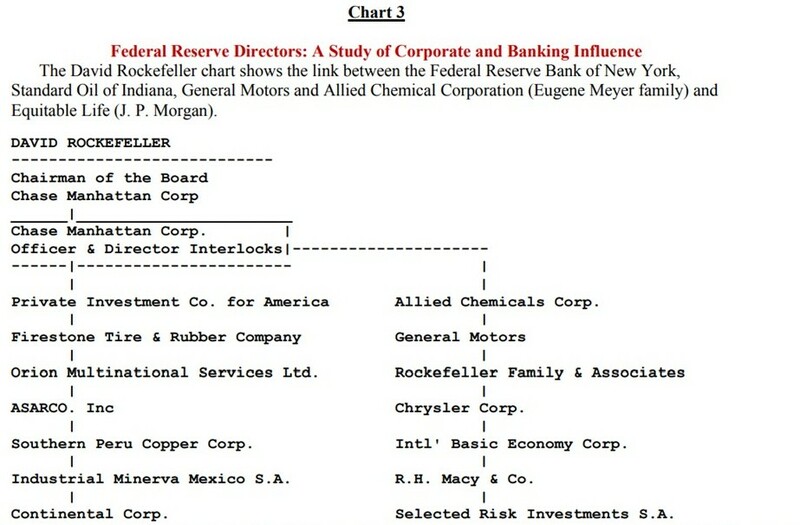 Morgan and the Rockefellers provided the financial backing for Merrill Lynch, boosting it into the Big 5 of U.S. investment banking. Merrill is now part of Bank of America. John D. Rockefeller used his oil wealth to acquire Equitable Trust, which had gobbled up several large banks and corporations by the 1920’s. The Great Depression helped consolidate Rockefeller’s power. His Chase Bank merged with Kuhn Loeb’s, Manhattan Bank, to form Chase Manhattan, cementing a long-time family relationship. 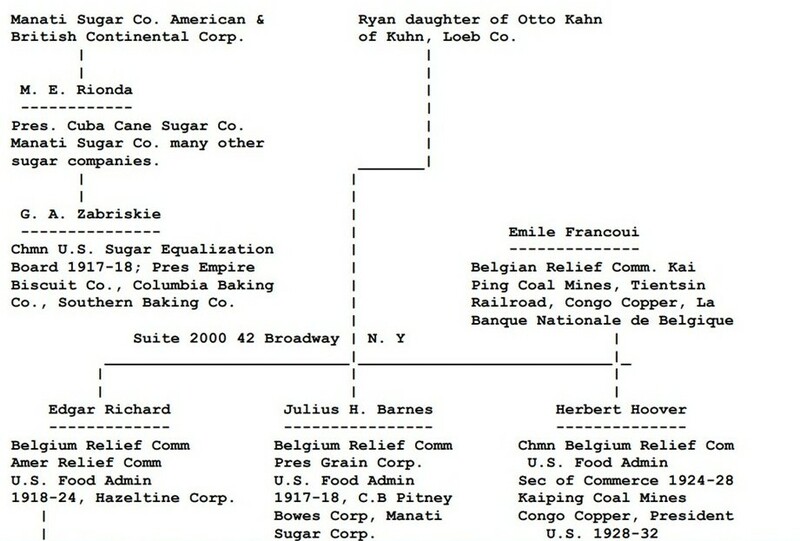 The Kuhn-Loeb’s had financed – along with Rothschilds – Rockefeller’s quest to become king of the oil patch. Another was James Stillman, whose family controlled Manufacturers Hanover Trust. 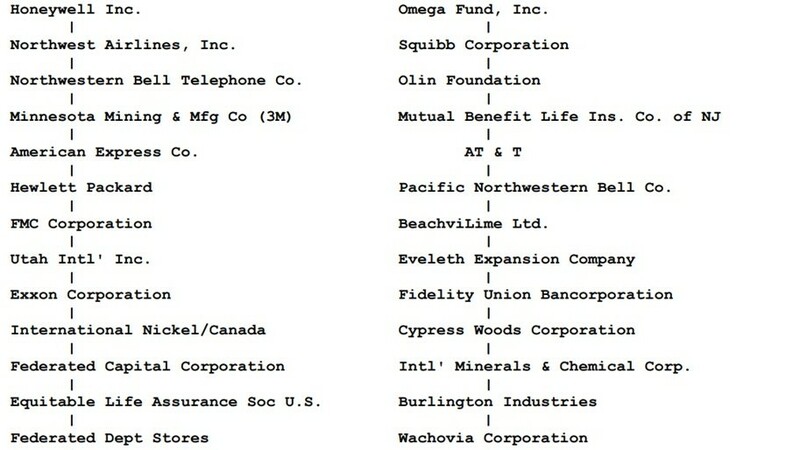 Insurance companies – the first in the U.S. was launched by Freemasons through their Woodman’s of America – play a key role in the Bermuda drug money shuffle. University of Chicago – which churns out a steady stream of far right economists as apologists for international capital, including Milton Friedman. The Rockefellers were instrumental in forming the depopulation-oriented, Club of Rome, at their family estate in Bellagio, Italy. ...Their Pocantico Hills estate gave birth to the Trilateral Commission. ...The family is a major funder of the eugenics movement which spawned Hitler, human cloning and the current DNA obsession in U.S. scientific circles. 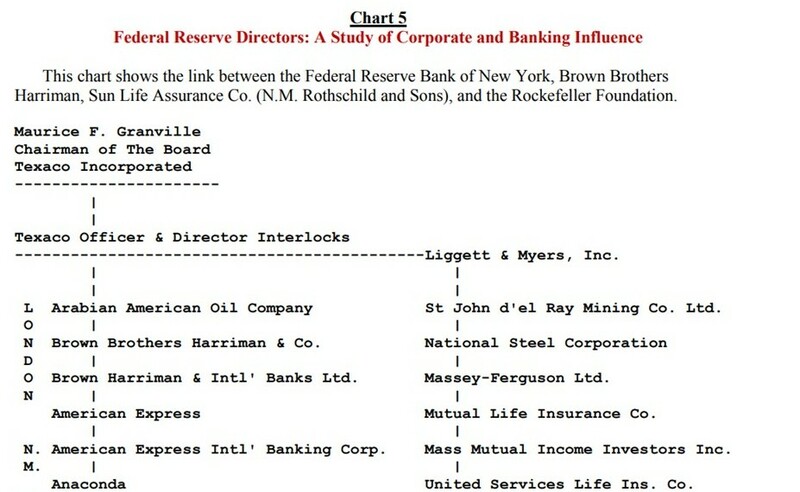 ...But, of all the Rockefeller brothers, it is Trilateral Commission (TC) founder and Chase Manhattan Chairman, David, who has spearheaded the family’s fascist agenda on a global scale. The family is a major funder of the eugenics movement which spawned Hitler, human cloning and the current DNA obsession in U.S. scientific circles. 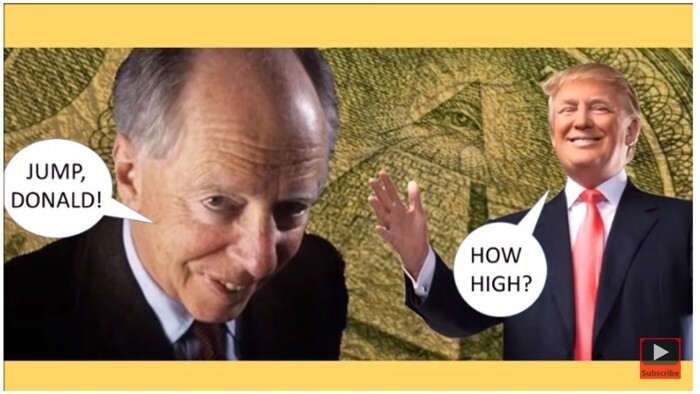 But, of all the Rockefeller brothers, it is Trilateral Commission (TC) founder and Chase Manhattan Chairman David who has spearheaded the family’s fascist agenda on a global scale. Dean Henderson is the author of: Big Oil & Their Bankers in the Persian Gulf: Four Horsemen, Eight Families & Their Global Intelligence, Narcotics & Terror Network —and— The Grateful Unrich: Revolution in 50 Countries.